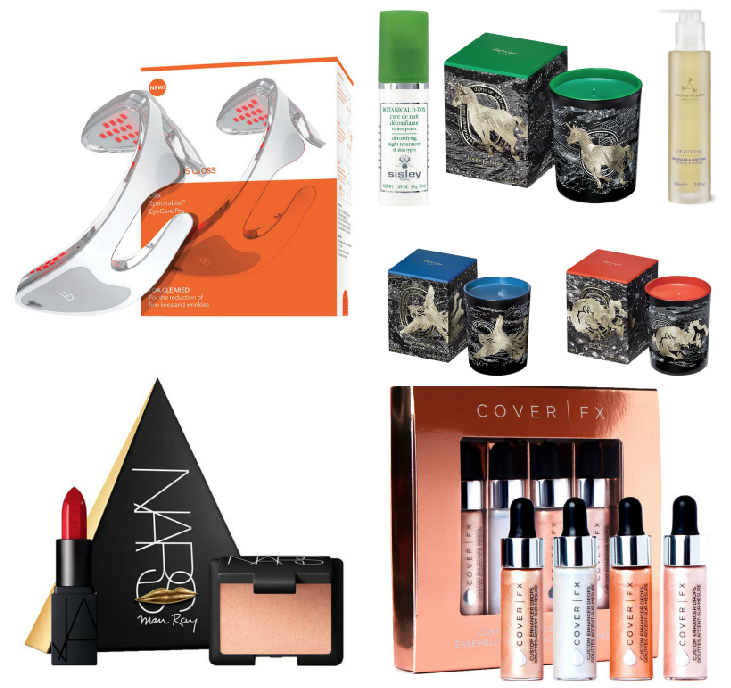 On November 1st Space NK's Christmas Gift With Purchase will launch, and as usual the minimum spend will be £250 to get it, so I thought I'd share some of the products that have made my shortlist to give you some inspiration - as if you were lacking any! First up is the Dr Dennis Gross SpectraLite LED eye treatment. At £168 this is a pricey gadget but the results are supposed to be excellent - and visible within two weeks. I think I'm going to wait for a few more people to report back on this before taking the plunge but I'm always buying topical products and I think there's a lot to be said for treatments - so this has definitely peaked my interest, and the price point would give you a good chunk towards reaching the £250. 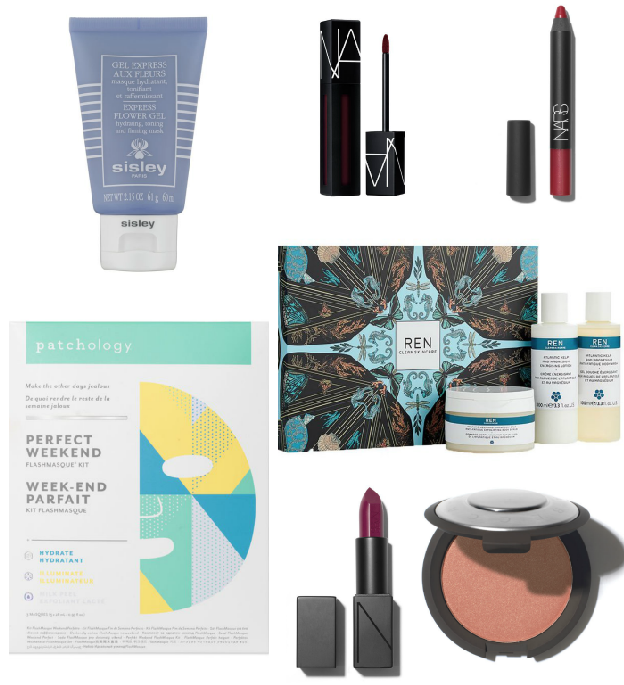 I've tried a few Sisley products now - they are pricey and I've been buying them when the GWP at Space NK has been on throughout this year - and so far they've been some of the best products I've tried. For my flight to New York next month I feel like I could definitely count upon the Sisley Express Flower Gel Masque to give my airplane skin the hydration it will be craving, plus it's clear so won't look too bizarre in flight. There's also the Sisley Botanical Detox which I'm super interested in; you use this product every night for a month as an intensive treatment and it boost the natural detoxification of skin cells and helps slow down the ageing process, as well as leaving the skin looking brighter, less tired and more hydrated. It's a lot of money but again it would go a long way towards achieving the £250 spend and so far I do have to say the handful of Sisley products I've had have been majorly impressive. The Diptyque Christmas offerings this year are stunning, I actually haven't made it into a store to smell them in person yet but the packaging is so beautiful! There's the Dragon one which is blood orange, wood and cloves - so I imagine that will come through in a very traditional Christmassy scent; the Phoenix one is incense and myrrh with cinnamon which I think sounds beautiful and lastly the Unicorn one which is inspired by 'Frosted Forrest' and counts fir needles, wood and mint amongst it's notes - so I think this will be the cooler, more invigorating scent. Obviously candle offerings have to involve going into store but unless any of the scents are particularly offensive (which, since none of them are floral, I don't think will be an issue for me) I could happily have all three of these to display. Speaking of scents the Aromatherapy Associates De-Stress Massage Body Oil sounds very up my street. It's got arnica, ginger and black pepper in it, which should help stiff joints and ease muscle aches and pains, and I just feel in constant pain these days - so I'm pretty much willing to give anything a go! I am a huge fan of the REN Sea Kelp and Magnesium range already so this travel set would be ideal for going to New York as it contains a body scrub, wash and lotion and the magnesium is supposed to be good for sore muscles as well, so after days of pavement pounding in NY - shopping definitely counts as cardio when you're covering Manhattan Island from top to bottom! - this would be very welcome, and I always need to do a full body scrub after being on a plane otherwise I just don't feel I've got the plane dirt away! One of the other things I'll be doing post-plane is a whole load of masques getting thrown at my skin every night - and Patchology is a brand I haven't tried but am definitely interested in. This trio of masques is £18.00 and includes a resurfacing masque, an illuminating masque and a hydrating masque - and the resurfacing masque promises to be a very gently resurfacing one with no redness left behind - so perfect to put on then head out into the city. They all work within 5 minutes, so again ideal for using in the morning when we want to be out the door to start the day on holiday rather than sitting about waiting on our sheet masques to work! Moving off of skincare and on to skin - the Cover FX Custom Enhancer Drops Set was on my Sephora wish list for buying in New York, but I'm really happy to see more and more of the value sets coming over to the UK. The swatches of these look beautiful and although they're tiny a little goes a long way with these products, so I think the 4 of these will definitely last! The other set I've featured is from Nars and it's the Love Triangle set - which is an amazing price point at £20. It have a mini of the Hot Sand highlighting blush in it and a mini of the Rita Audacious lipstick. I already have the Hot Sands liquid illuminator and I really like it, so I'm sure I'll like the powder version; and I've picked up Rita and swatched it so many times - but I could never justify another red lipstick... till it came in mini! The audacious lipstick formula really isn't my favourite, but the colours are absolutely beautiful and I'm building up a pretty extensive collection - the next one on my list is definitely Vera, which is a beautiful berry shade. Other Nars lip products that I have my eye on are one of the new Powermatte Lip Pigments in the shade Rock With You, which I fell in love with after seeing Sam Chapman use it in this video; and a Velvet Matte Lip Pencil in the shade Mysterious Red. I have Cruella already and honestly just don't love it - I find it quite wet for something that's supposed to be matte, but I've heard that Mysterious Red is a bit more matte than Cruella, so I might give it a go! The last product isn't available online but I'm hoping Glasgow will have it in store - and it's the Becca Mineral Blush in the shade Songbird which is described as a peachy-pink but has a bronze-brown tone running through it that I think will be super flattering on my pale skin throughout the cooler months. With NY on the horizon I'm aimign to spend as close to the qualifying amount as possible and not go crazy - because otherwise I'd just add all of the above to my basket - but stay tuned to my YouTube channel to see what I do go for!